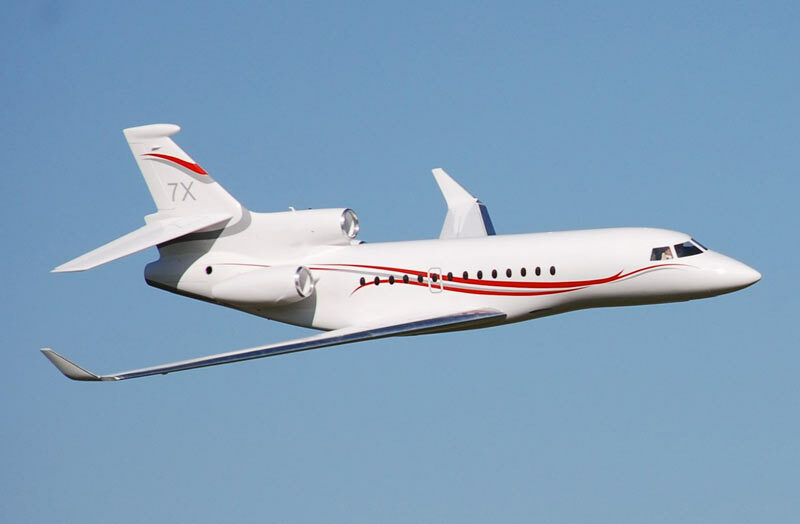 You like airliners or bizjets, you like large model, very large model... you will love our new FALCON 7X. 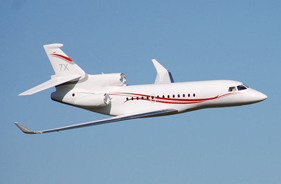 The FALCON 7X is the new buisness jet from Dassault Aviation. 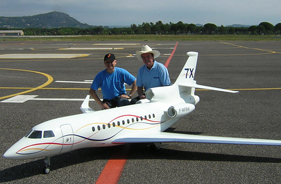 It is the largest model from the french company with the long range capability. 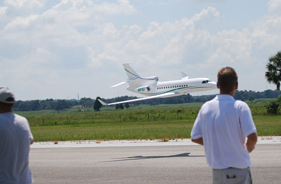 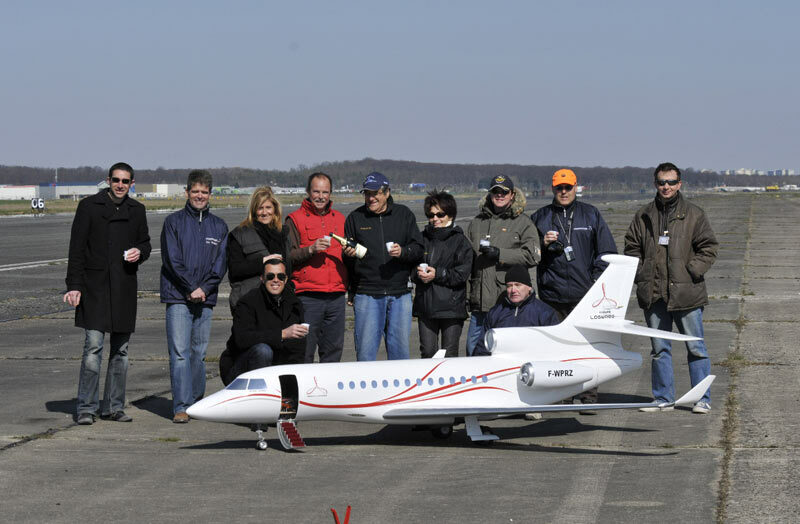 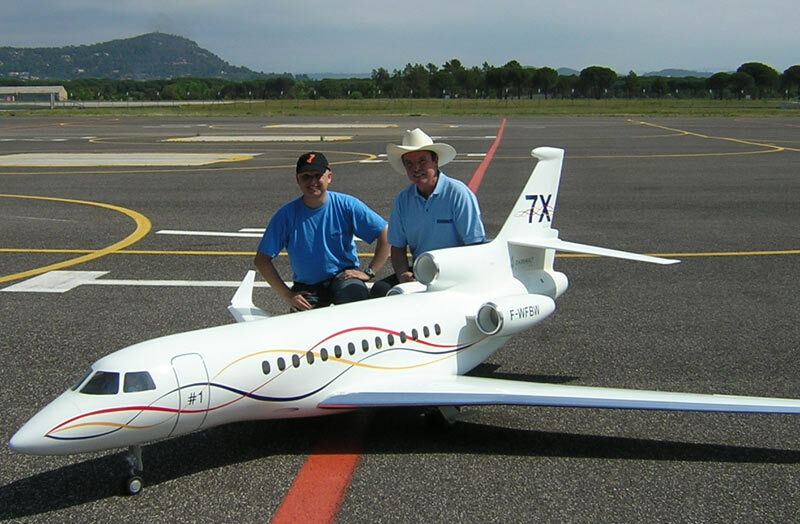 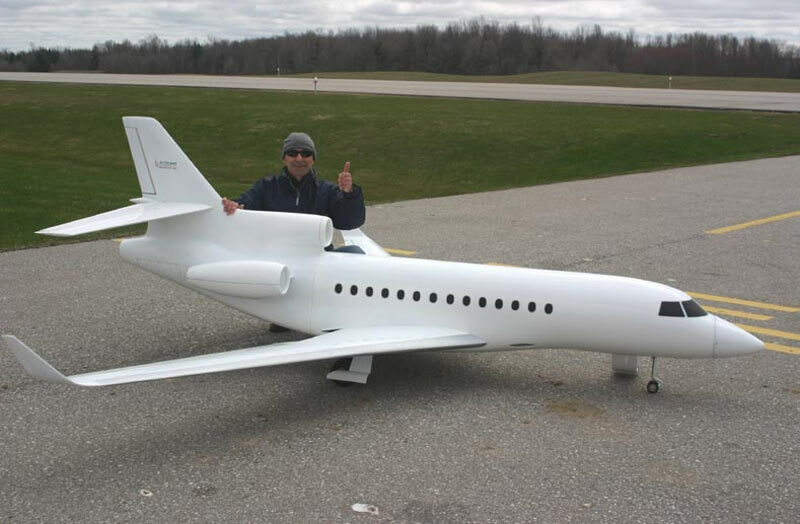 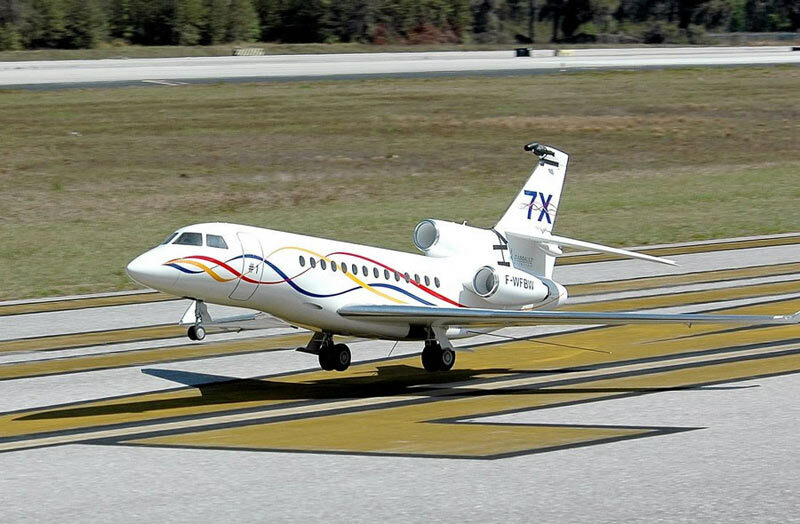 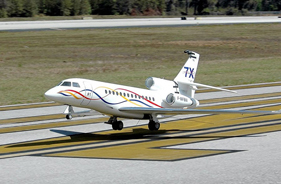 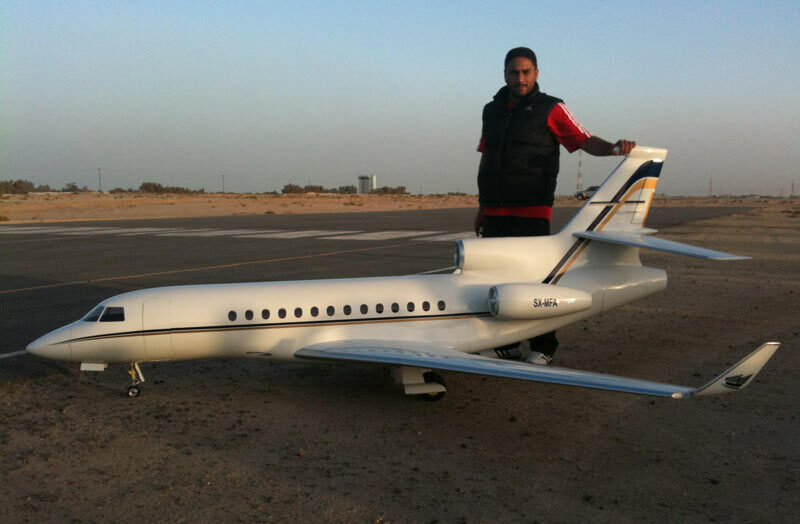 The Aviation Design 1/7 scale FALCON 7X was designed by Francis Laurens, Dassault Aviation employee at Istres flying test center. Using Catia CAD drawings, Mr Laurens made a superb plug and toolings from the most beautiful bizjet from Dassault. 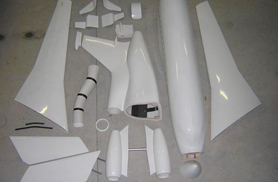 1/7 Scale was chosen to be similar to our fighter range (Rafale, Mirage2000...). The real FALCON 7X is a 3 turbine bizjet. 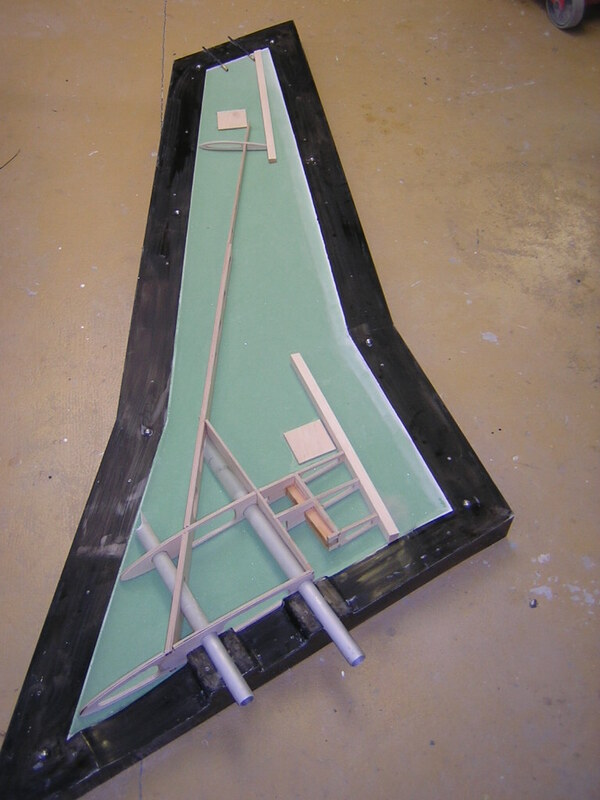 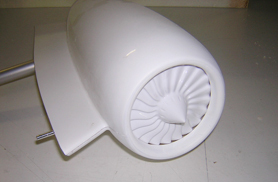 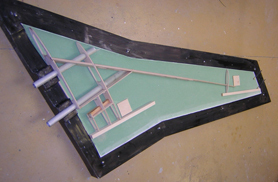 Our model is only a single turbine powered model (central turbine with a S shape inlet ducting. 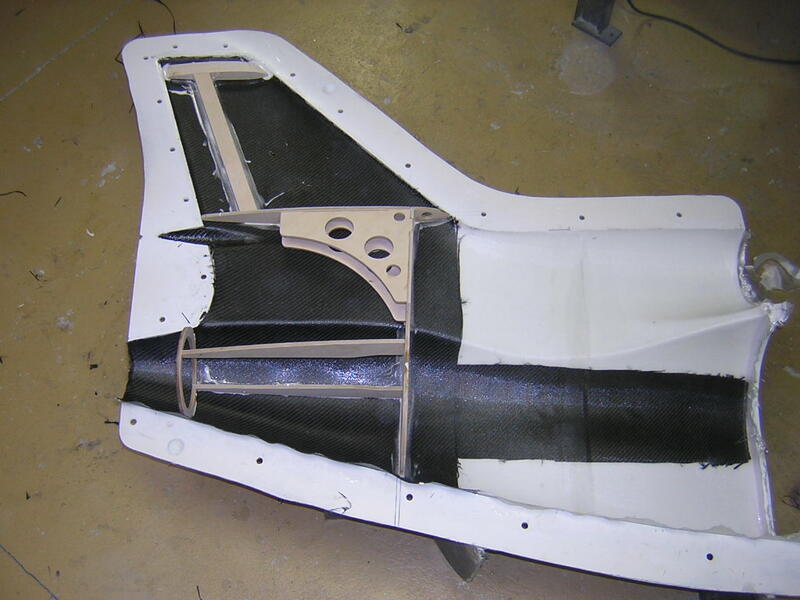 It requires only a 16 kg thrust turbine due to his low weight and low drag. 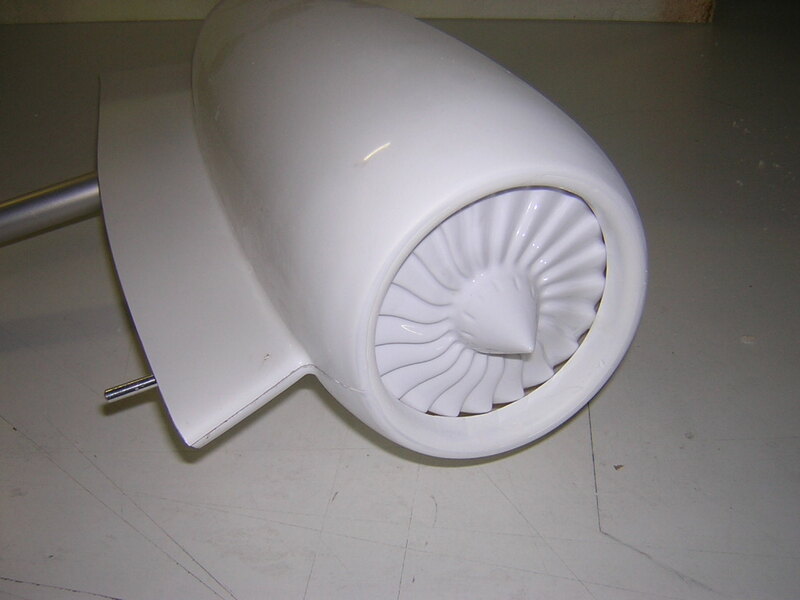 So it is very simple to fit the turbine and simple to use. 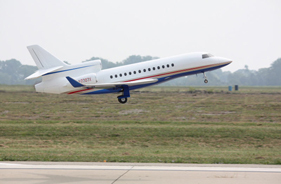 Our landing gear has been designed for stronger field operation, with chock absorber struts, like real Falcon. 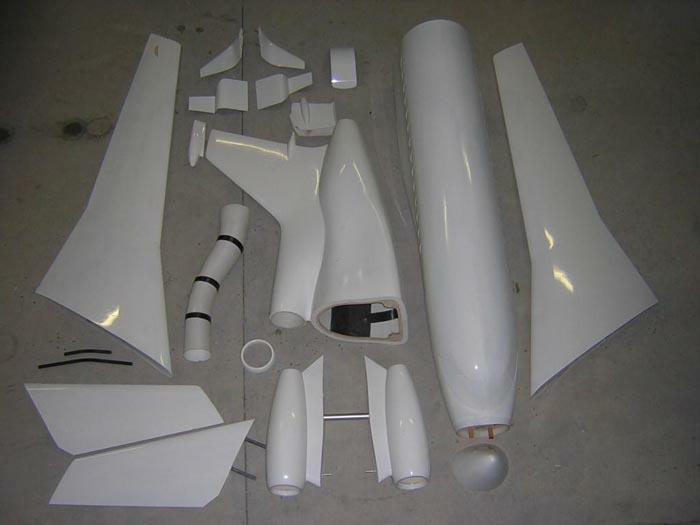 The FALCON 7X is produce as a basic kit version : we recommand a good builder experience to assemble and finish the FALCON 7X. 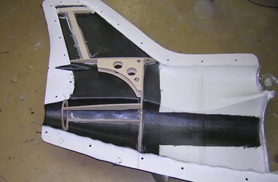  Instructions manual in English.